Latest fashion, fancy dresses, trendy footwear, accessories and beauty tips for women, men, girls, kids & infants. How to Make Hair Shining? How to Have Healthy & Beautiful Hair? 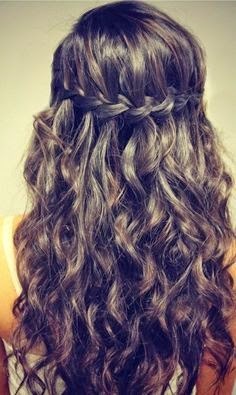 How to Have Long and Healthy Hairs? How to Make Hair Grow Naturally? How to Make my Hair Healthy and Beautiful? How to Get Shining and Lustrous Hairs? How to Get Rid of Dandruff Forever? How to Reduce Hair Fall and Increase Hair Growth? How to Take Care of My Hair to Make Them Beautiful & Healthy? I hope you would get answers of all the above questions after reading this article on hair care tips. 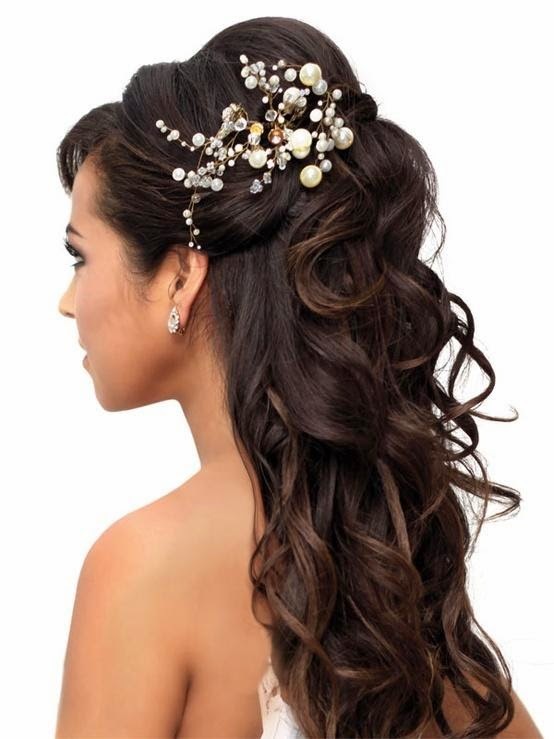 Having healthy, beautiful, shining, dandruff free and lustrous hair is dream of almost every woman. But not all women are blessed with beautiful and healthy hair. Some women manage to get such beautiful hairs but some are not able to have such type of lovely hairs. 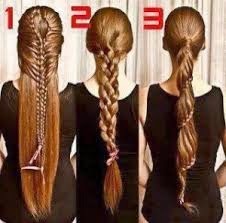 There are certain factors which play important role in having healthy hair which I am going to discuss below one by one, and I hope you would like them. How to Reduce Hair Fall, Hair Loss, Hair Damage and Increase Hair Growth? Hair loss occurs due to several reasons. The main cause is aging. As one gets older, it is the structure of the hair which changes. It becomes weaker, thinner, and grey and eventually dies. Besides aging, other reasons could include: frequent colouring, chemical in commercial products, deficiencies in minerals and vitamins etc. Permanent hair colouring stays in the hair until it grows out while semi-permanent coloring washes out over a period of time. Permanent treatments can cause hair loss, irritation, redness and burning. Semi-permanent hair coloring treatments like henna are easy to use and are safer than the permanent ones. Before applying any form of colouring to your hair, be sure to test a small amount on your wrist first to see whether or not the chemical could irritate your skin. And use good brand hair colors for your hair. Hair bleach is used to lighten the color of your hair. Hair bleach is comprised of mixture of hydrogen peroxide, ammonia and a toner. Although bleaching your hair may give beautiful shades of colors to your hair but if you see it is harmful in the long term. If bleach comes in contact with the scalp then it can damage the hair shaft and take away most of the hair moisture thus making hair very delicate and vulnerable to break. If you still wish to bleach your hair then consult a good dermatologist and take precautions as prescribed. Using hair straightener, hair drier, flat irons can damage and break such bleached hairs. A good hair conditioner is very useful if you bleach your hair, it can reduce the harmful effects of the bleach. Relaxers or perms are used to give a particular hair styles and curles to make a woman look beautiful. 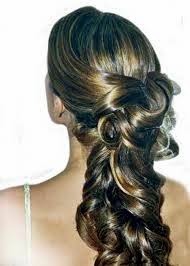 But most of the women do not know the adverse effects of the hair perming. In perming heat and chemicals are applied to hairs when they are roled so that they remain in that very position and style even after the roles are removed from the hair. Ammonium thioglycolate is the chemical which is used as hair relaxers for perming. Such chemicals and heat applied to hair can change texture of your hair, make them hair weak, brittle, fragile, frizzy, and prone to break easily. For more details on effects of relaxers and perming on hairs click here. Chlorinated water is nothing but the water treated with chlorine. Chlorine is added to water to kill bacteria and virus to make water drinkable. In most of the cities water is treated with chlorine before supplying to every home. But this very chlorine is also harmful for your hair if you use this water to wash your hair. Using hair dryer to dry your hair can also damage your lovely hairs. Hair dryer evaporates all water and moisture from your hair leaving them dry which is harmful for your hair as this way they become weak, fragile and prone to breakages. Thus it is advised not to use blow drier, instead let your hair dry naturally. Dandruff is nothing but dead cells shedding off the head scalp. Almost every person suffers from dandruff at some point of time. Dandruff causes irritation and itching which makes us scratch our head again and again which in turn weaken our hairs near the root, thus making hair weak and fragile to break easily. If little care is undertaken then one can get rid of dandruff easily and permanently. Yes stress can be harmful for your hair and can make your hair grey fast, and can also lead to hair fall. But for this the stress level should be very high which can cause lose of sleep and appetite. Not day to day low level & short term stress caused by small issues or work load can cause you this much of harm to your hair. So try to be happy and live life with happiness as stress cannot make any situation better. Adopt a positive thinking attitude and try to avoid stress always. There are ups and down in everybody’s life so do not lose hope if something wrong happens with you but keep moving and struggling having a hope that good time will come soon. Life is short and beautiful never waste it by worrying and taking stress. For more information effects of stress on hairs click here. Aging is also a big reason for hair loss, less hair growth, and to get your hair grey, thinner, and lifeless. This aging effect can’t be undone as it is biological, but you can slower these effects. Also you can hide these effects by hair dyes and some particular hair style. A good diet, positive and active lifestyle can also these aging effects slow. There are many hair care products which can reduce your hair fall, slower greying and other aging effects on your hair up to a large extent. A good diet is as necessary for your hair as it is for rest of your body. Your hair also needs a good diet and necessary nutrition like proteins, vitamins, minerals, etc. Your hairs are made of protein and they need it for good health and proper growth. Thus protein is very important for your hair health so do not forget it to include in your diet. A good dermatologist can also recommend you a particular diet after looking at health of your hair. Thus for getting long, strong, healthy, beautiful and shiny hair a balanced diet is very necessary. For information visit here. Air pollution and dust is not only harmful for your body, skin but is also harmful for your hair health. As there are lots harmful chemicals and allergens in the polluted air and dust which makes our hair dull, weak and prone to damage easily. Even polluted water is also harmful for your hair. That is why washing your hair from filtered and clean water is beneficial. Use a good shampoo, conditioner and hair oil to minimize the harms done by pollution. Covering your hair while going outside is also very useful for your hair. Exposing your hairs to sun, wind, pollution and rain can also damage your hair. Exposing your hair in sun means you are exposing your hair to intense heat and ultra violet rays which both are very harmful for your hair as they affect the melanin in our hair. Long exposure in sun not only takes moisture out of your hair but also makes your hair dull, lifeless, and weak. Using an umbrella not only protect your hair but also your skin from the sun damage. Cold weather is not as much harmful as summer, but still you should avoid too cold weather as it may make your hairs moisture less, dry, frizzy and unruly. Exposing your hair to windy weather can make your hair create tangles and snags which can lead to hair breakages while combing them. If you can then try to keep your hair covered by a cloth to avoid all harmful effects of all types of weather conditions. Apart from being cautious about the above listed harmful factors for hair, you should also be aware of other hair care tips which can make your hair healthy, strong, long and shiny. Below I am sharing such hair care tips. Below are some home remedies that can help you preventing hair loss, dandruff, and irritation so that you can get healthy, long & shiny hair. Eggs help you reduce hair loss and help in hair growth. Eggs also moisturize and maintain hair’s natural oil. If you use egg in your hair regularly at least once a week then you can get long, strong, smooth, and shiny hair without any split ends. Egg contains protein which aid in making hair follicles stronger thus giving your strong and beautiful hairs. If your hairs are dull, lifeless and often gets tangled and knotted then egg is very good to repair such damage hair whiling giving a new life to your hair. Apply two eggs after mixing thoroughly to your hair and leave for 15 minutes, then wash it with cold water. After some time you can wash your hair with shampoo. The only drawback of using egg is that they stink when you apply to your hair. But bearing such stink is worth. Use cold water only to wash egg paste from your hairs. Honey is also said to be very useful for hairs as it help to reduce hair fall, to increase hair growth, and to make hair shiny and healthy. There are many recipes of honey which you can use for your hair to make them healthy, long, shiny and lustrous. Almond is very rich sources of B1, B2, B6, D, A and E which are very important for healthy, strong, lustrous, silky and long hairs. Apart from it almond oil can also protect your hairs form ultraviolet rays of sun. Apart from these vitamins sweet almond oil also contain polyunsaturated, mono, omega 3, 6, 9 fatty acids which are also beneficial for your hairs. Almond oil is known for its nourishing, smoothening and conditioning your hair naturally. Many hair oil manufacturing companies also add almond oil to their products. For good results massage your hairs and scalp with almond oil for 15 minutes and then leave it for one hour or overnight and then wash them with shampoo. Buy only 100% pure and organic almond oil which may be a little thicker than the adulterated almond oil. The benefits of the almond oil for hairs are just amazing. It is a wonderful natural product which can make your hair healthy, strong, shiny, long, and beautiful. Olive oil is an amazing product for your hair; if you use it regularly then you may not need any other chemical based hair care products. Olive oil also helps you get rid of dandruff from your hair. If you use olive oil regularly i.e. once a week then you may not need to use conditioner separately, because olive oil also works as a natural conditioner for your hair. After applying olive oil to your head scalp leave it for half an hour keeping your hair covered by a towel or other cloth. For more information on olive oil benefits for hair click here. Coconut oil is also as beneficial for your hairs as almond oil. Apply warm coconut oil in your hair and scalp and leave it for overnight and then wash it with shampoo. Coconut also aids in increasing hair growth rate. It also help to keep lice away from your hairs as well as repairing the damages done to hairs by lice. Thus both coconut oil and almond oil are very helpful for getting healthy, long and shiny hairs. As henna is natural so it has not adverse effect on your hairs. If your hairs have started whitening then you can also use henna to color your hairs instead of artificial colors made from harmful chemicals. Using henna or mehndi in your hair not only make your hair silky, shiny, smooth, strong, but also reduce hair fall. 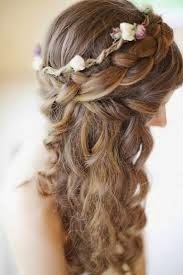 If you mix egg or curd with henna before applying to your hair then it help prevent dandruff in your hair. Boil Amla, Reetha and Shikakai in water, after filtering use this water to wash your hair. 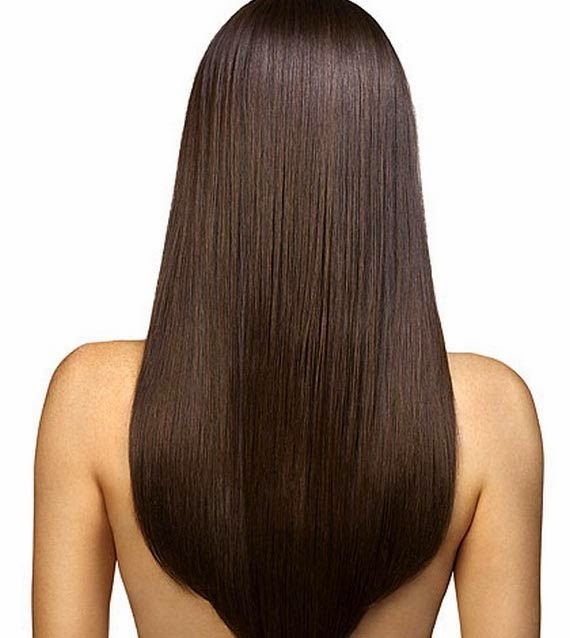 It will help make your hair healthy, long, dense, strong, silky and shiny. Applying curd in your hair also help make your hair dandruff free. 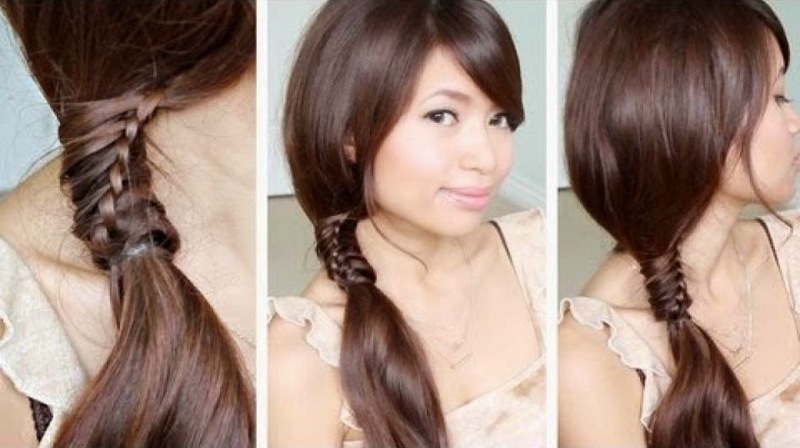 Applying egg in your hairs for 20 minutes make your hair amazingly shiny. Egg contain vitamin A, B, D & E which are very good for our hair. Avoid doing experiments with your hair. Have a balanced diet consisting milk, curd, salad, fruits, cereals, sprouts and green vegetables. Do not use hair dryer to dry your hair, and let them dry naturally. It is always best to wash your hair with herbal shampoo. If possible then use properly filtered and purified water to wash your hair, because impurities in the water can be harmful for your hairs. Take proper sleep & avoid taking too much stress. Covering your hairs with a cloth when you are outside protects your hair from bad effects of sun, dust, wind and pollution thus making them healthy and shiny. Use aloe-vera based gel instead of other gel to style your hair. Using herbal shampoo is always best for your hair instead of other chemical based shampoos. There are certain kinds of hair masks which can help you get your hairs strong, long, shiny, and smooth. Such hair masks are made from different kinds of natural products like olive oil, henna, honey, aloe-vera gel, egg, and other kinds of products and oils. For some hair masks for your hair care you can visit here. I hope you may have found this article useful, and will help you get strong, long, beautiful, and shiny hairs. Next time I will come with another article. You can also visit me on G+. How to Look Slim in Saree? How to Look Slim in Jeans? Buying Tips: Which Type of Jewelry Will Suit Me Most? Buying Tips: Which Type of Lehenga Will Suit Me Most?